Coca-Cola. A Plush Beanbag. Paco Mexico. He measure approx. 2.5" tall x 9" long. He is being sold in good used condition. There are no holes or stains. For Sale. A Plush Beanbag. Salty Bahamas. He measure approx. 2" tall x 5.5" long. He is dated 1998-1999. For Sale. 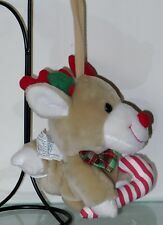 Paper Swing & tush tags are attached. He is being sold in good used condition. 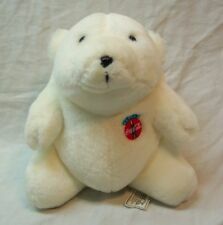 Benny Bear XVIII 2004. Ben Bridge Bear w/Blue Eyes and White Bow. Dark Gray - Super Soft & Plush! Jewelry/Gift zippered pouch in belly for hiding. Back of card wording Crafted entirely from non-toxic. A Sea Turtle with Bahamas flag. A Pelican with Cuba flag. All animals are in fine condition. The plastic bottle cap is detached but included with the Pelican. The bottle cap is missing with the Coca Cola holograph. BENGAL TIGER. New condition with country flag. REPRESENTING INDIA. THESE 2 CLASSIC STUFFED ANIMALS BELONGED TO MY MOM WHO PASSED AWAY 20 YRS AGO THEY ARE IN VG CONDITION. 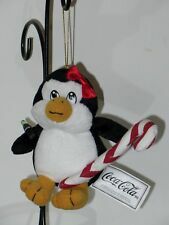 They are all Coca-Cola except for a couple that I threw in just because they are matching polar bear plush as well. You get all 19 of them. I will do my best to answer them to the best of my knowledge. Seems many are not finding the choices. I also took photos of all the info on the box for you to read. I HAVE OWNED HIM FOR YEARS. 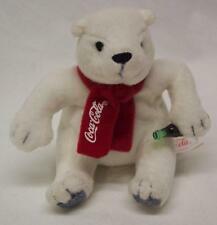 Retired 1999 Plush Coca-Cola POLAR BEAR Wearing a Long Striped Cap Holding a Coke Bottle. 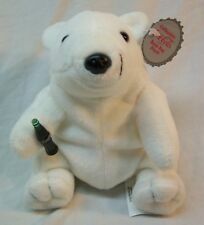 • Collectible 6” Coca Cola plush beanie-style white Polar Bear. 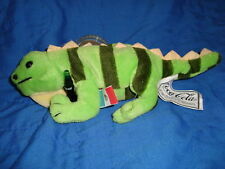 Soda can is NOT included with this item and is shown here for size and color reference only. Type: Plush toy. Material: Recycled pet. It is made c recycled pet material. We are located in Tokyo Japan.